Farm Animals features 20+ different cute and cuddly farm animals, each drawn using the traced shape of your hand in a variety of poses. The interactive format includes a pull-out paper pad for drawing alongside each exercise. Develop fine motor skills, strengthen muscle coordination, and improve hand-eye coordination by simply tracing the shape of your hand! Drawing with Your Hand supports the early stages of writing and drawing in children as young as 3 years old. Each simple step-by-step drawing exercise begins with tracing the hand in one of 12 different poses, and then transforming the outline into a fun farm animal. 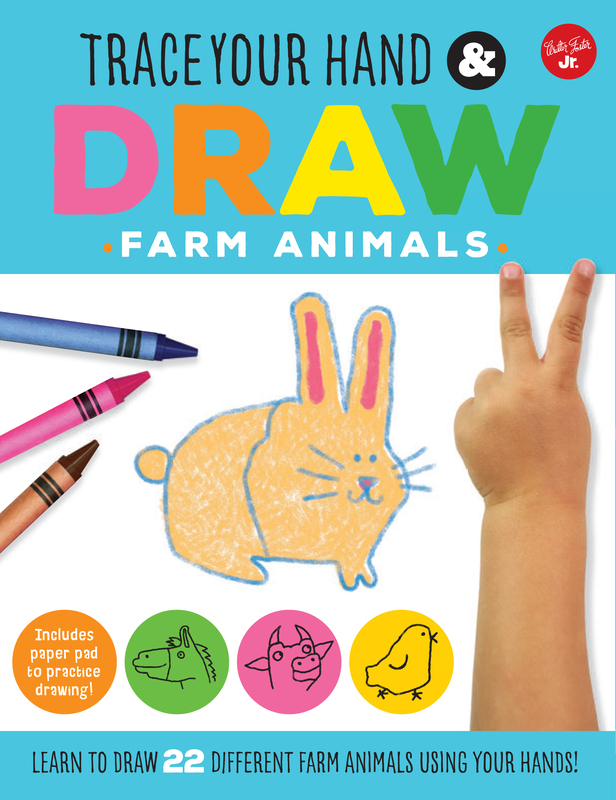 Farm Animals features 20+ different cute and cuddly farm animals, each drawn using the traced shape of your hand in a variety of poses. With quick factoids about each animal and a pull-out paper pad to easily draw alongside each exercise, children will be so immersed creating cows, chickens, sheep, and rabbits by simply tracing their hands that they won't realize they are also developing the basic foundation for learning how to write. A talented illustrator, Maite Balart studied fashion at the Duperre School of Applied Arts in Paris. She has since worked as an art director, graphic designer, stylist, photographer, and costume designer in the fashion industry. She is currently the editor of Mai Mai magazine.